Mithun and Deepali, a couple who lived on rent in Delhi, were excited about buying their new house in Gurgaon. They decided to do a proper background check of the builder before buying the shortlisted property. While they were preparing a checklist before buying a flat, their screening process included visiting the past projects of the builder. Deepali shared what prompted them to do these visits, “We learnt from the bitter experience of our friends Vanita and Rohit who got carried away by the glitz of the show-home of the builders and did not visit the other completed projects of their builder. Only when you visit a completed project and interact with the residents, you get the real picture. 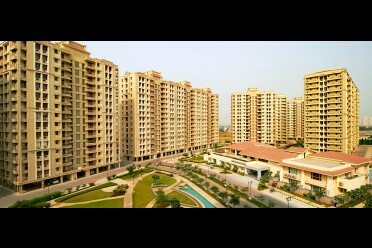 The residents might also help in figuring out the documents required for the purchase of flat. Think of this as a way to analyze and evaluate your builder’s claims, behind the screens. This screening not only helps you make an informed decision but also prevents you from falling into the trap of dubious builders and their false claims. Also, if you are undecided, the visit will give you the confidence to take the decision. While the excitement and emotions, around buying a house is unsurpassable, make sure that you make a well-thought out and well-researched decision. This also means that you shall know the documents to check before buying a flat and run an elaborate research on the same. Like Mithun and Deepali, visit and evaluate past projects of your prospective builder, before making the purchase. Don’t stop your research after seeing the show home. Instead, do your homework, read up your builder and make it a point to visit previously completed projects, look for the documents to be verified before buying a flat. Here are three factors you should consider while evaluating a builder’s project, during a site visit. ●Timely Possession: Research and find out if other buyers were able to take timely possession of their properties. Speak to residents to find out how their possession experience was and if they faced any issues during pre-inspection or post that. ●Builder Responsiveness: You can understand how responsive the builder was after project booking by talking to those who are already living there. ●Construction Quality: On-site evaluation of older projects is the best way to check property details gives you a better idea about the quality of construction than new ones or those under construction. It is evident that there is no guide to buy property, so plan your site visits and take a tour of the builder’s projects, and evaluate your builder’s authenticity and credibility. Get ready to make smarter decisions while purchasing your dream home. Very good advise. Thank you. Thank you for showing interest in Ashiana properties, our executive will contact you and assist you further. Thank you for consideration, please share if any assistance require regarding project.